Niceville is to Carsten Stroud what rural Maine is to Stephen King. Both places are fertile imaginative landscapes against which their authors explore the sociology and superstitions of insular communities. Much like King’s Needful Things or It, in which the supernatural acts as an agent of the environment, Niceville is a chilling depiction of the trauma, iniquity, and injurious memories suppressed under the pretense of small-town values. After ten-year-old Rainey Teague is reported missing, Detective Nick Kavanaugh’s investigation determines that the disappearance is no mere kidnapping. Rather, security cameras of the child’s last known location show him to simply vanish. When Teague inexplicably reappears days later, inside a locked tomb in the town’s graveyard, Kavanaugh delves into the mystery of the 179 random stranger abductions that have occurred in Niceville since 1928. Assisted by his wife, his partner, and a police CI, Kavanaugh finally determines that something inhuman, something from the outside, is targeting the bloodlines of the Founding Four families. Because Stroud draws from several disparate genres, Niceville’s many plotlines and populous cast may initially feel incongruous. As evidenced by the town’s ironic name, however, the novel is as much a satiric deconstruction of literary traditions as it is a demystification of the Old South. Therefore, to appreciate the novel requires an understanding of the influences that inform Stroud’s work and how they tie together to build the bizarre world of Niceville. For fans of hardboiled crime fiction, Stroud’s canvass of the town exposes its gritty underside. Intertwining subplots include a bank robbery that leaves four cops dead, a slighted citizen intent on exposing the sexual deviances of others, and the blackmail of a security firm founder as part of a corporate takeover. As in that most famous of hardboiled novels, The Maltese Falcon, though, these story lines merely serve as MacGuffins for the true terror lurking beneath the town’s surface. Indeed, such cultural decay of crime and violence moves Stroud’s novel into the Southern Gothic, addressing the grievances and blood feuds masked by the South’s quaint, idyllic image. As the abductions relate to a century-old slight between two families, regarding a rakish cad’s indiscretion that leaves a young girl in trouble, the many now face expiation for the sins of a few. With an entity that travels through mirrors and glass to exact its vengeance, these reflective surfaces become a metaphor for the masquerade of small town idealism, exposing the wickedness otherwise concealed by Niceville’s citizens. In this sense, the land itself is the novel’s most important character, exhibiting a consciousness that absorbs and feeds upon the malicious energies of its inhabitants. Although it deploys conventions of crime fiction, magical realism, and the horrific, fantastic, and Gothic, Niceville is, above all, a neo-noir fiction dictated by the characters’ own fatalistic propensity for self-destruction. With two successive installments in the trilogy, the novel’s cliff-hanging end proves to be the real beginning of the Niceville saga. 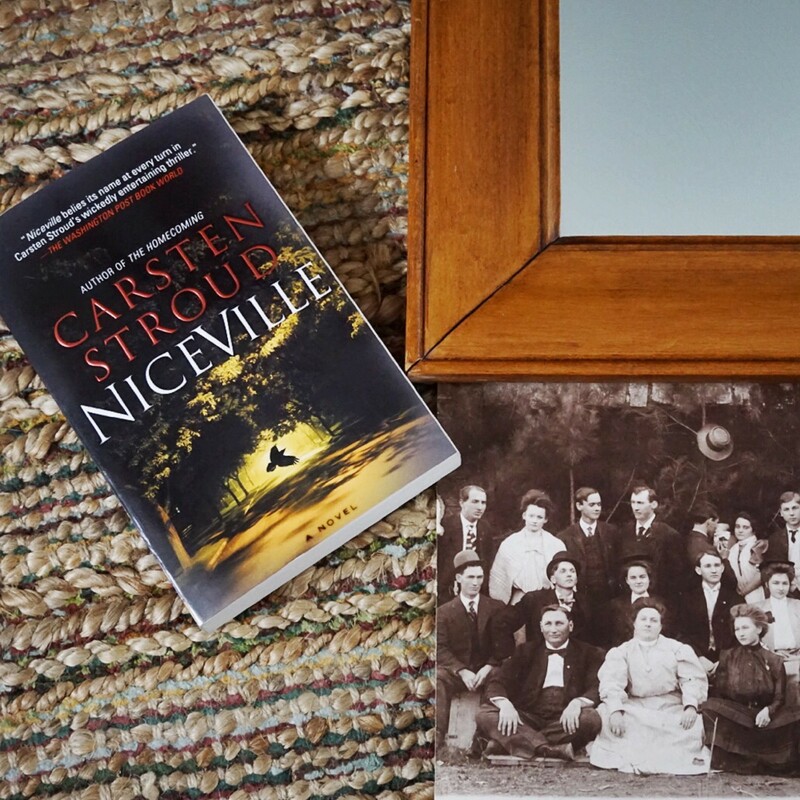 As Stroud leaves the reader with nothing but unsettling questions, one feels that the only conclusive answer is that the residents of Niceville are simultaneously plagued by a past on which they had no bearing and prevented from a future in which they will have any agency. Niceville; 464 pages; Vintage Crime/Black Lizard, 2013 reprint.